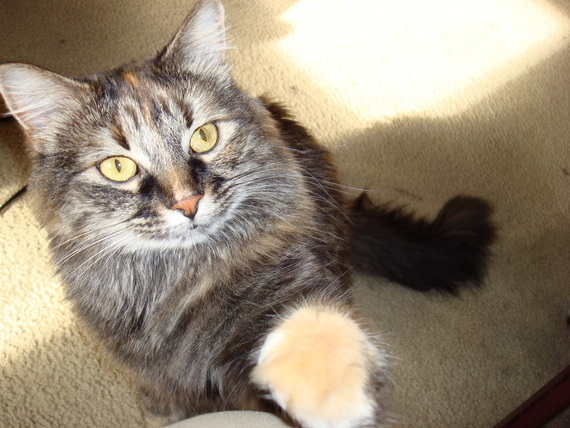 A Guest Post by Eowyn, the cat. Hello all you Human's out there! I am Eowyn and I happen to be a cat. But not just any cat, no, no. My human happens to be BlueRose who is the normal writer of this blog, of course I just call her Mom. Today she has been nice enough to let me write a post for all of you to tell you about Noah's Ark, a place for animals on the internet. Noah's Ark is a new message board on Yuku for just us animals. It was started by my new friend Bayley (he's a dog, but that's ok, I still like him). There are several of us there already, both dogs and cats and we'd love to have more friends to talk to. All animals are welcome, just NO HUMANS! The reason we picked Yuku is because our humans have been using it for many years now and they just love it! Not only is there a message board but we all get interactive profiles that we can customize and use to say hello to each other and post pictures of ourselves on. It's really very cool. Oh, and its all free! You might be wondering what we talk about at Noah's Ark. Well, we talk about everything, from what we did during the day, our favorite games, our favorite sleeping places, what we like to do to annoy our humans, everything! Now because you were so nice and read though all of this, I'm going to give you a present! A video of me playing fetch!